Welcome back to another installment of Intergalactic Intel! This week we’re going to be looking at one of the oldest forms of end game content in MMO history. Guild vs Guild. 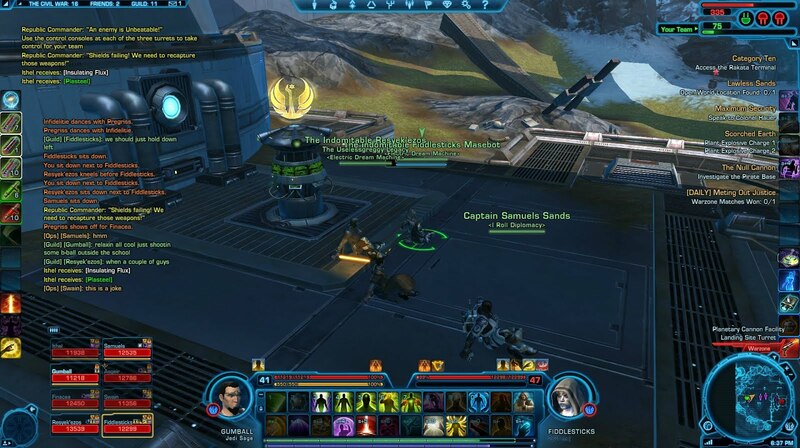 We’ll look at my favorite version of GvG, as well as look at a few things SWTOR could do. People enjoy competition. There are the never ending battles of whose better at both PvE and PvP. Sometimes it can be settled through a duel, or looking at progress, but for others it’s not always so simple. As anyone can tell you end game content is almost always team based, but with PvE it’s very hard to track who is better, beyond who killed which boss first. With PvP it’s even harder. It’s almost impossible to queue up against another specific team. In older games like Ragnarok Online, and Guild Wars, battles amongst guilds was a part of the core end game experience. It was working for something more than just killing bosses or farming warzones. There is a new level of fun when teams come together to do combat against each other. GvG has been in many games before. My favorite would probably be the War of Emperium in Raganrok Online. Guilds would do battle in different key cities for castles. At the beginning castles are simply full of enemy NPCs that guilds must wade through. Once they have reached the middle of the castle they can destroy an object called the emperium, which gives the guild control of the castle. Each castle could be reinforced with guards, and traps, making it a deadly maze for anyone trying to enter. Other guilds would attempt to take the castle from opposing guilds. At the end of the battle guilds could rebuild their defense and collect money and other items for a successful defense. 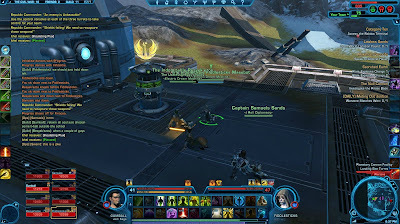 The easiest thing Swtor could do is make Warzones be challenged just like duels, but that feels very lazy to me. A new planet devoted to GvG and improving things for you guild would be ideal. Battles could result in doing damage/capturing to the guild flag ships, that Bioware has mentioned. The traditional death match is always an option, even if it’s not that interesting. This is just one option of guild vs guild experience in MMO history. With SWTOR’s new, “what’s coming video” they said a large amount of work was happening to the guild system and I can only hope that some sort of guild vs guild system is in the works. Until next time may the force be with you!